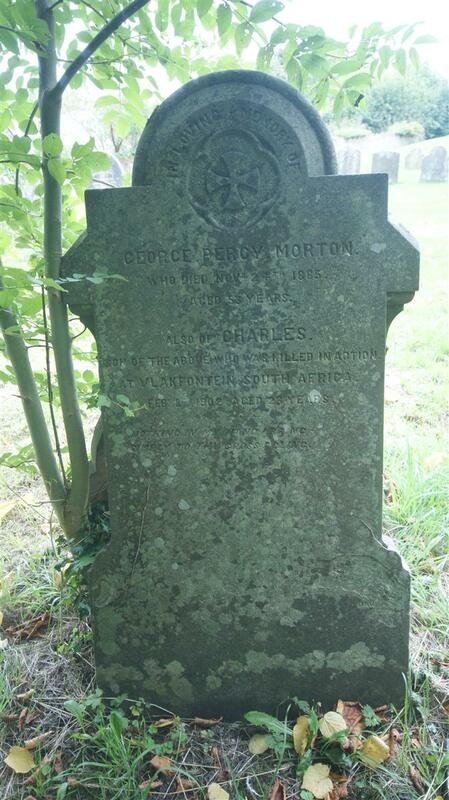 George Percy Morton / who died Novr 24th 1885 / aged 53 years. // Also of Charles / son of the above, who was killed in action / at Vlakfontein, South Africa / Feby 8th 1902, aged 23 years. / Nothing in my hand I bring / Simply to thy cross cling.